A gorgeous wedding trend planners and designers are seeing more of in 2018 is actually a charming throwback to the 1970’s. Macramé accents create a romantic, laid back, non-traditional vibe for the Bohemian, earthy-chic bride. The natural fibers and earth tones also add texture—another fun 2018 wedding trend—to your décor. There are so many ways to incorporate this fun, easy, DIY style into your wedding. Here are a few ideas to get you started. 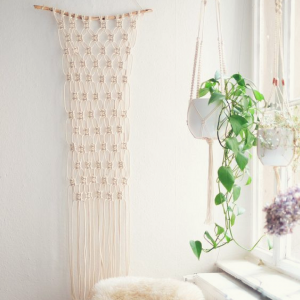 Just getting started with macramé? This table runner is a great project to get you going. Both time and budget friendly, this is a statement piece will anchor your décor. Place it over the top of a tablecloth, or use it solo and let the natural wood table show through. Find directions here to make your own. 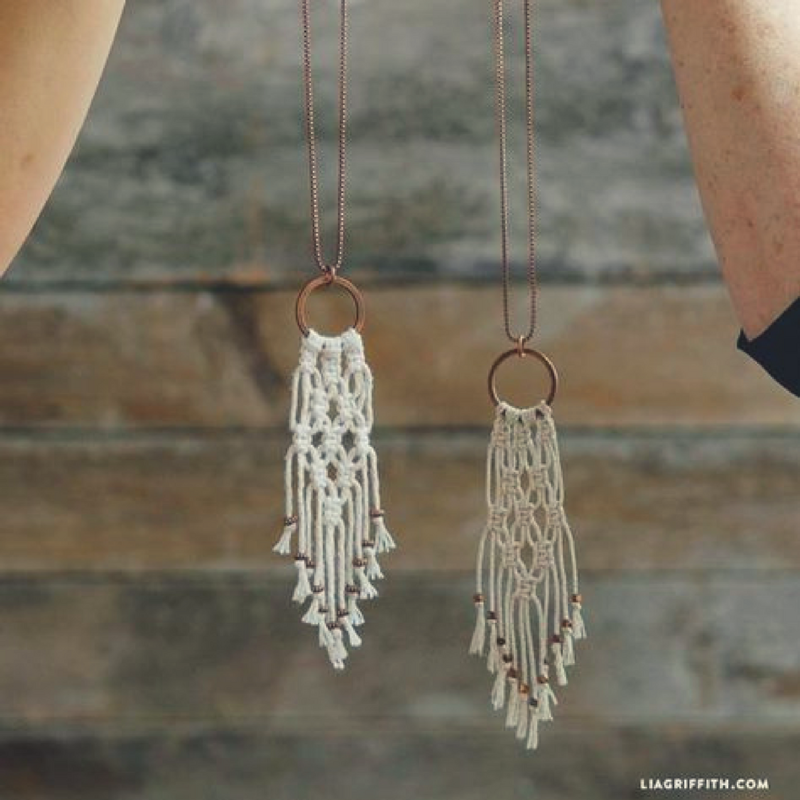 A macramé necklace may or may not compliment your wedding dress but these delicate pendants might be just the thing to complete your bridesmaids’ look. This necklace is a great starter project that looks more complicated than it is. Knot this on a copper ring and add a copper chain for a very on trend look this wedding season. 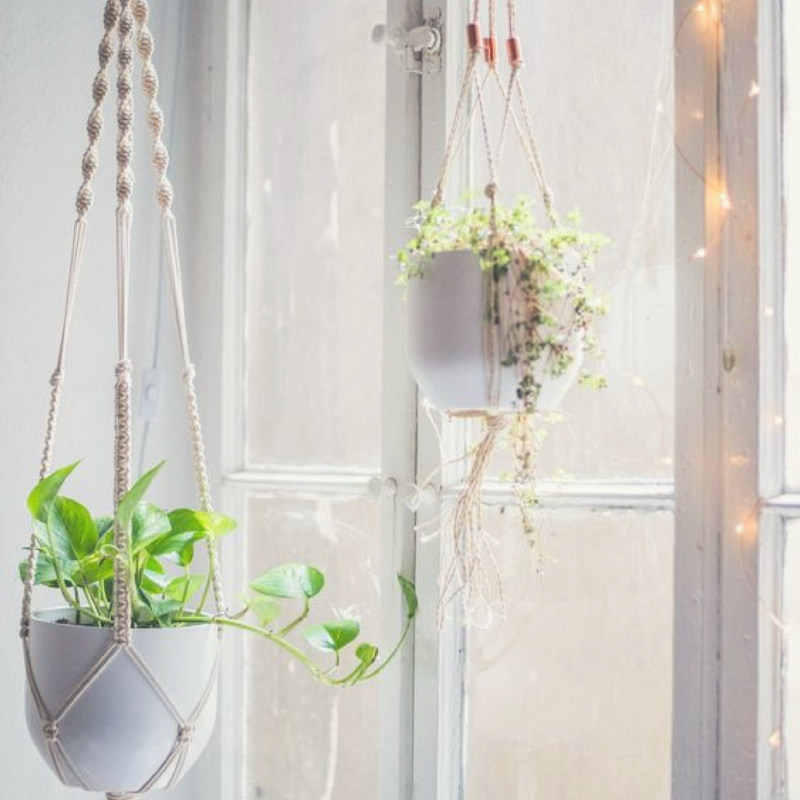 One way to hit two hot trends with one spool of hemp cord is with macramé plant hangers. You’ll cover not only the Boho look but you’ll also nail one of the other things wedding designers are excited about this year: hanging plant and flower arrangements. Hanging plants or other arrangements allow you to make a big floral impact while leaving tables uncluttered and more inviting conversation places. Learn how to make your own plant hangers here, and here. Nothing makes a bigger statement than a gorgeous macramé backdrop or arch under which to say your vows on your wedding day. Large statement pieces, however, take a lot of work and unless you have access to a generous aunt with mad, 1970s macramé skills to fall back on, purchasing one can be pricey. A smaller, yet still gorgeous wall hanging can create the same feel as a statement piece, yet is much more doable for the DIYer. This one from Hey Hailey is a perfect project for the first timer and is still a stunner. Looking for the perfect wedding veil that encompasses romance and ethereal beauty? A macramé veil will be your go-to accessory for your boho-style wedding day. Delicate and romantic, a macramé piece like this might be a little tricky for the first-timer to pull off. Again, unless you have a talented circa 1970’s aunt who can do macramé in her sleep, check Etsy for custom made headpieces to get exactly the veil you’re dreaming of. 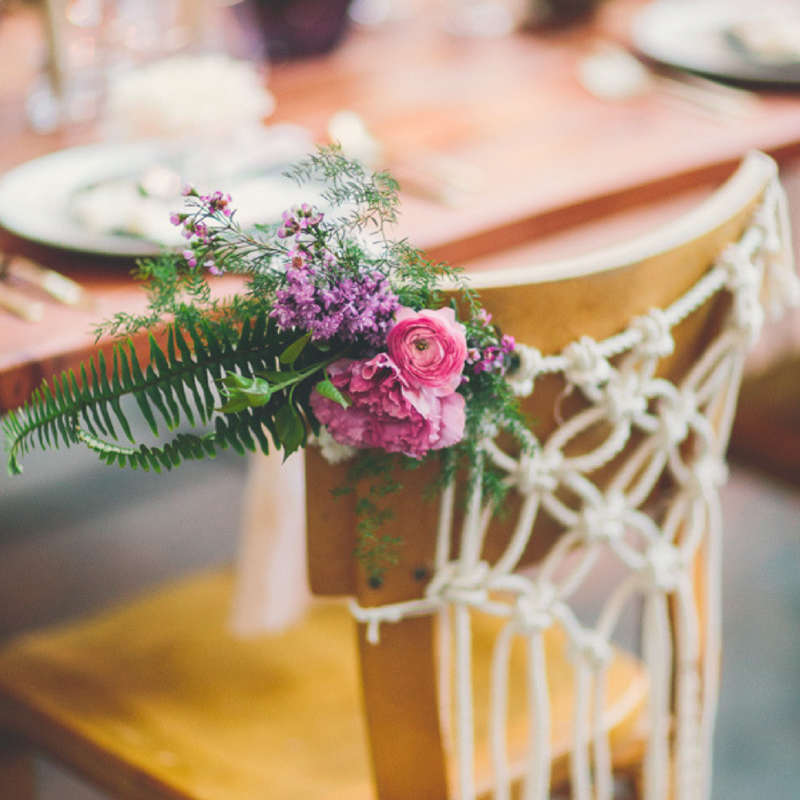 Dress up the sweetheart table with charming macramé chair hangings. They’re easy to make and will look stunning once they’re embellished with flowers, leaves and other pretty bits of nature’s goodness. 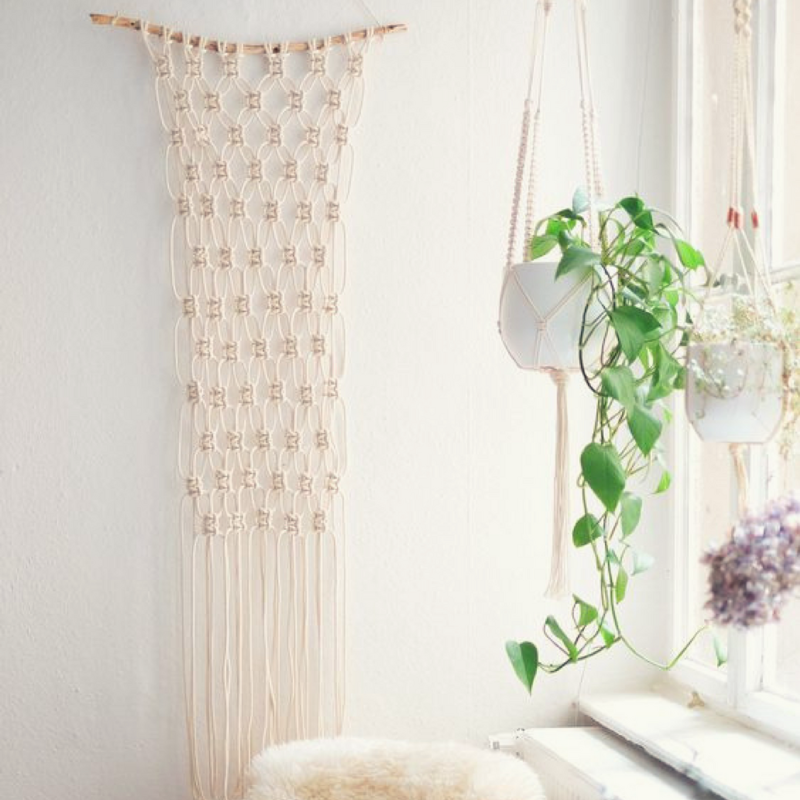 Directions to similar DIY macramé pieces can be found here at the gorgeous Lia Griffith website. 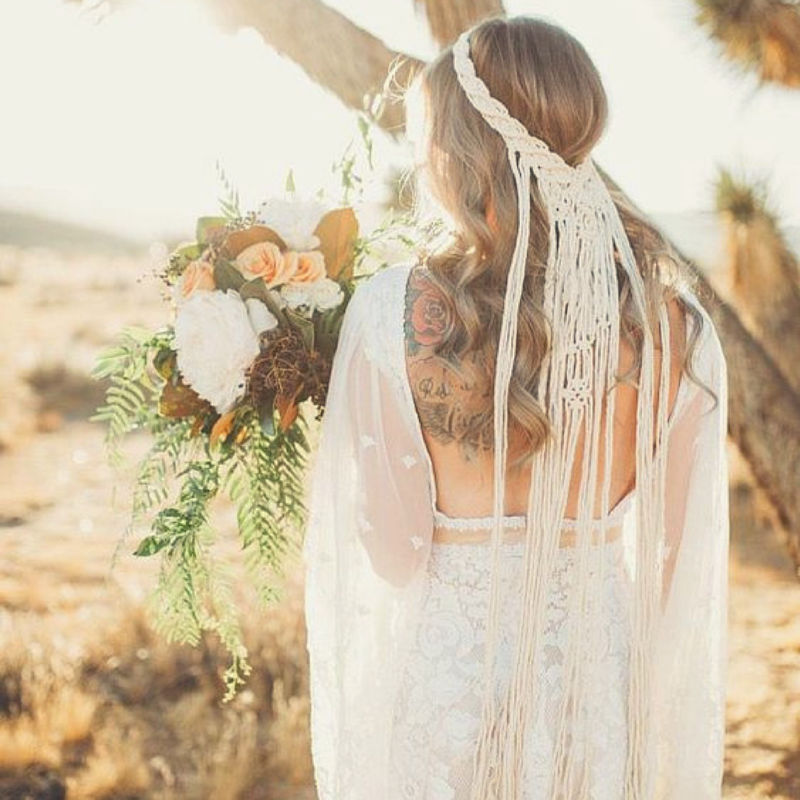 Here’s an easy way to add some Boho style to your wedding day. Bridesmaids bouquets will look lovely in this macramé wrap. 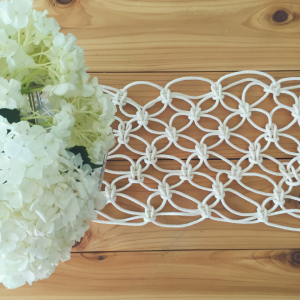 After the wedding day, the wrap can be undone and transformed into a cute and meaningful hanging. Always Rooney walks you through the step-by-step instructions, here. 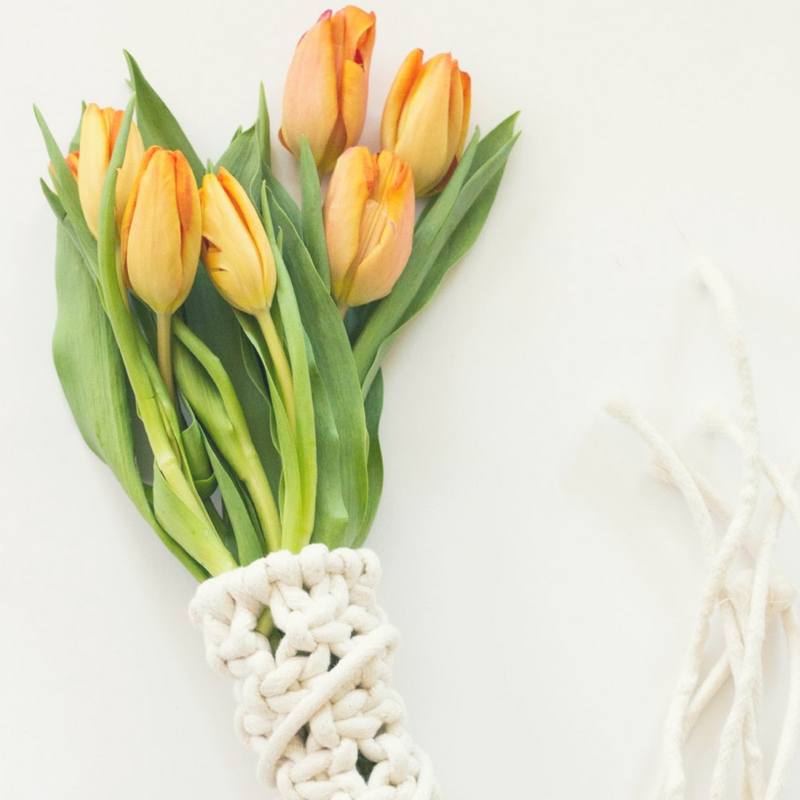 I love all of these ideas and I wouldn’t have said I am a big macrame fan, but then I look at all of these things and there isn’t one of them I wouldn’t love to have in my house or at my wedding! So, I guess I am just a sucker for the trend of the times. Great post!